Please contact us to discuss other application areas of interest. 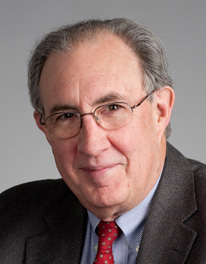 Senior Consulting Scientist John O. Merritt is an internationally recognized expert in the operational use of stereoscopic 3D displays and the application of research and development in sensory and perceptual science to remote-presence systems. He brings over 30 years of experience and extensive practical and theoretical knowledge of spatial perception and stereoscopic video applications to every project. John’s early work in overhead reconnaissance as an Naval Air Intelligence Officer, combined with his years of experience as a 3D-display design consultant, make him uniquely qualified to assess the strengths and weaknesses of advanced 3D imaging systems. John has extensive experience comparing task performance in 3D vs. 2D evaluation studies. Since completing his graduate work in sensory and perceptual psychology at Harvard University, he has provided vision research and human factors engineering consulting services to a broad range of industrial and government clients. As a senior research scientist at Perceptronics in Woodland Hills, CA, he headed a number of R&D projects related to vision and visual-simulator displays. He is the author of numerous technical reports and papers in the areas of vision research, night vision devices (NVDs), evaluation of 3D systems for remote manipulation, image-quality standards, visibility and illumination, 3D aerial photointerpretation, simulator displays, highway safety, and visual fatigue. He has served as a technical consultant and expert witness in patent litigation involving stereoscopic 3D systems. John Merritt has been an active member of the Society of Photo-optical Instrumentation Engineers (SPIE) since 1985. In 2012 he was elected a Fellow of the Society for his specific contributions to the field of stereoscopic displays and applications, and a Senior Member of the Society for his contributions to the SPIE organization. He is the founding chair of the IS&T conference on Stereoscopic Displays and Applications, which has run every year since 1990. John Merritt and Andrew Woods of Curtin University of Technology co-teach a popular short course on stereoscopic displays and applications at each annual conference. The course covers key principles and practices essential for the design of successful stereoscopic display and imaging systems, and includes demonstrations of leading-edge stereoscopic hardware. Click here for the full course description. At right, John demonstrates orthostereoscopic imaging and display geometry using a Proview XL-50 head-mounted display provided by Kaiser Electro Optics of Carlsbad, California, at the annual IS&T conference on Stereoscopic Displays and Applications. John is a member of the Human Factors & Ergonomics Society (HFES) and the HFES Forensics Technical Group, the Society for Information Display (SID), and the Association for Unmanned Vehicle Systems International (AUVSI). He also sits on the Board of Directors of the Immersive Technology Alliance. John Merritt is a luminary in the 3D field and his knowledge is both current and relevant to the challenges of bringing high quality stereoscopic imagery to medical, military, and entertainment applications. John is the foremost expert on stereo vision (3D) vision systems. His work with us resulted in several stereo vision systems that were outstanding, and functioned perfectly in service with the US military.